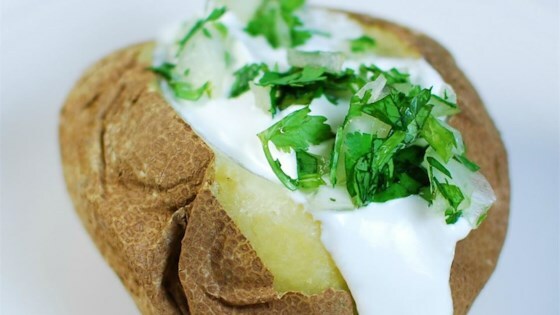 "A super easy way to bake potatoes without heating up the kitchen." I have done potatoes this way for a couple of years now and they are truely wonderful. Do them the exact way. yum the family loves them.